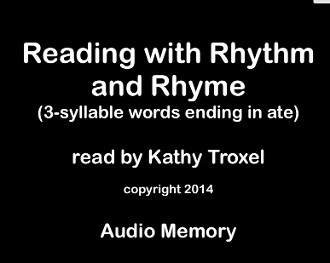 Downloadable movie (24 minutes) teaches 126 3-syllable rhyming words that end in "ATE." Music background keeps the reader moving forward. 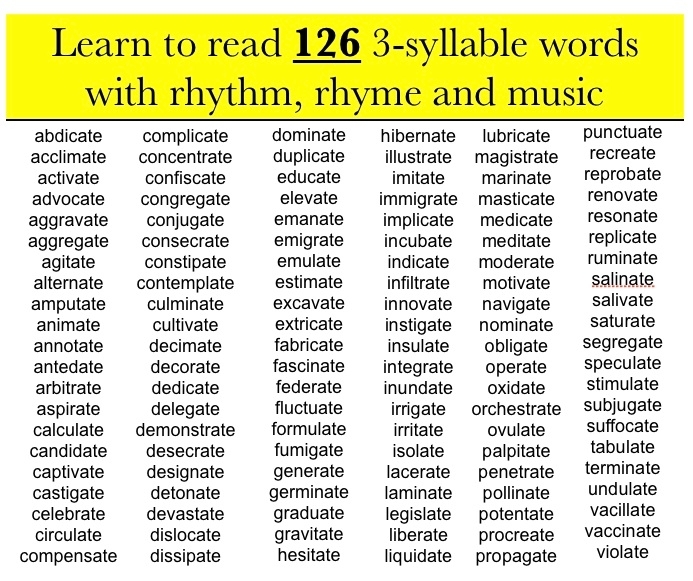 Each word is repeated 4 times - the first 2 times in syllables. The words are on the screen in sync with the voice and music. You may pre-test and post-test using the word list. Free today. Download the pdf of the word list. Click on word list below to start the preview movie.